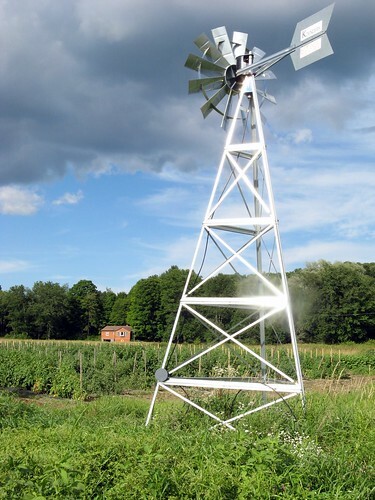 This shiny metal windmill is in the fields at Paley's farm market in Sharon. Lovely, isn't it? Very Bright...bet the birds love it! The sun really glints off of it.